Congratulations to everyone who attended the Jubilee Tournament held on Sunday 3rd June 2018. A great afternoon of tennis with tea and cakes – what more perfect way to celebrate the Queen’s birthday! 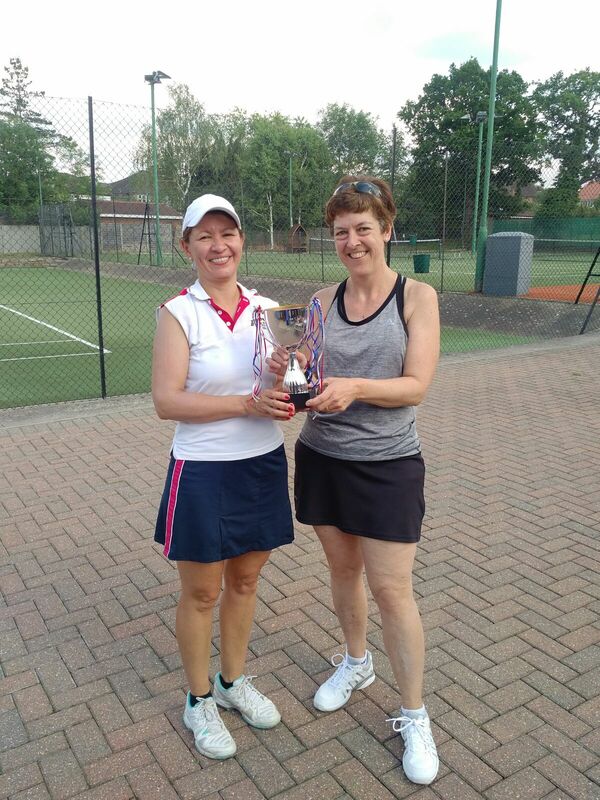 The weather was beautiful and well done to Tina Murray and Olga Freely as the winners of the 2018 Jubilee tournament. Why not join us for the next tournament – the Chris Brown Tournament on Sunday 01 July. Open to adult members of all standards – a great day of tennis, fun and socialising! Find out more upcoming events on the Club Calendar page. Share the post "Jubilee Tournament"